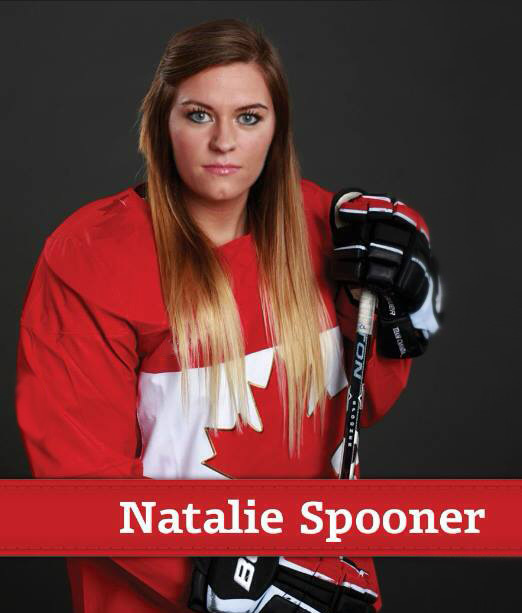 On Saturday, April 12, 2014, over 250 people joined Natalie Spooner, from Team Canada’s Women’s Olympic Hockey team, at Hogan Chevrolet Buick GMC Limited in a one-day community event to meet and thank her fans and supporters. Where: Hogan Chevrolet, 5000 Sheppard Avenue East, Scarborough. Guest were given the opportunity to receive autographs, meet and talk with Spooner and get a photo taken with her as well. There was a raffle with the chance to win an 1 of 12 autographed Team Canada jersey. All proceeds going to support ONE of Natalie’s favourite charities – The Breakfast Club of Canada. The day was filled with surprises for the kids, Charity BBQ, a hockey skills competition and laughter by comedian David Merry.